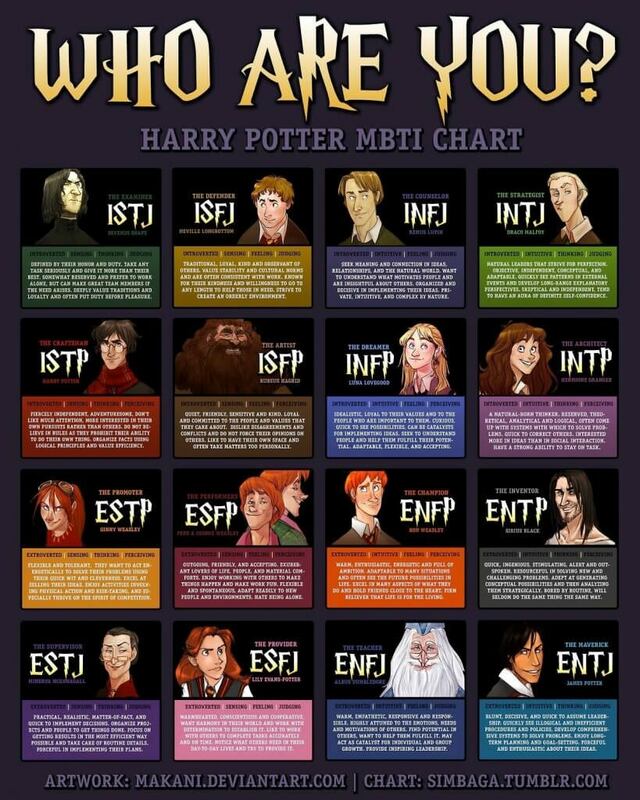 If you are a Harry Potter fan, you will love this personality chart. Find which character’s personality fits yours at a glance thanks to Simbaga from Tumblr, who constructed this chart, and Makani from Deviantart, who supplied these lovely illustrations. Based on the Myers-Briggs Personality Test, which can be taken for free online (short version here), your results will match up with the listings on this chart. There are sixteen MBTI personality types in all, each with its own set of characteristics. Each personality contains varying degrees of four key elements: how outgoing you are, the way you process the world around you, the way you make decisions and how you choose to deal with life’s obstacles. This test has its roots in some pretty fascinating psychology from the research of a mother-daughter team, Katharine Briggs and Isabel Briggs-Myers, and influenced by the research of Carl Jung. The test was first published in 1962. 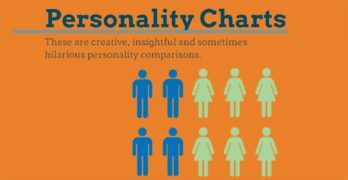 Essentially, the Myers-Briggs test analyzes your natural preferences in different situations. 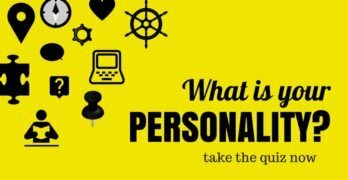 The letters in each personality type stand for which quality you have over the other. Using Dumbledore’s listing as an example, “E” stands for extroverted, “N” stands for intuitive, “F” stands for feeling and “J” stands for judging. In other words, he’s a kind, empathetic person who likes to have future plans for any problems that arise, is great at reading people and loves helping them grow and thrive. Sounds about right, don’t you think? Think of it as a much more detailed version of the Sorting Hat, except this time it is for finding out which personality type you are. The results may surprise you, especially if you turn out to match up with Draco Malfoy when you thought you were most like Harry Potter. Give the test a try and then come back to this chart to see whose personality you match the most. It may change how you feel about the character you match up with. This MBTI personality test was way more exiting than I thought. Was the most interesting test I ever took online. I got ESFP and I found out that what was described in the ESFP box in the chart was pretty accurate in my case too, when I started to delve deeper into my mind and thought about my personality. The biggest surprise out of all was when I found Fred and George representing the ESFP personality. Surprising because they have always been one of my favorite Harry Potter characters. Awesome!! !